MicroProse are continuing their forays into the high powered world of arcade machines with a 3D combat extravaganza called BOTTS. 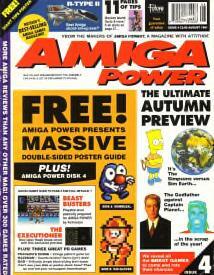 An Amiga conversion has already been pencilled in for next year. Battle of the Solar System features lashings of implausibly large robots throwing hell and fire at one another. The so-called Warbots move around a first person perspective 3D land junking anything they contact. Graphics verge on the dazzling, and gameplay is even more accessible than MicroProse’s last (and highly recommended) release, the excellent M5 Strike Eagle II (AP 87 per cent) Robot fans are having it very easy at the moment – we’ve had the recent Metal Masters from Infrogames, Metal Mutant from Palace, and games like Michael [Powerdrome] Powell’s Cyberfight from EA to look forward to. (We think we can safely say its become something of a trend).